Happy Monday my friends hope you have had a chance to recover from your holiday long weekend! We took a lovely trip to Arizona to spend Thanksgiving with my husband’s family then took a drive to experience The Grand Canyon. 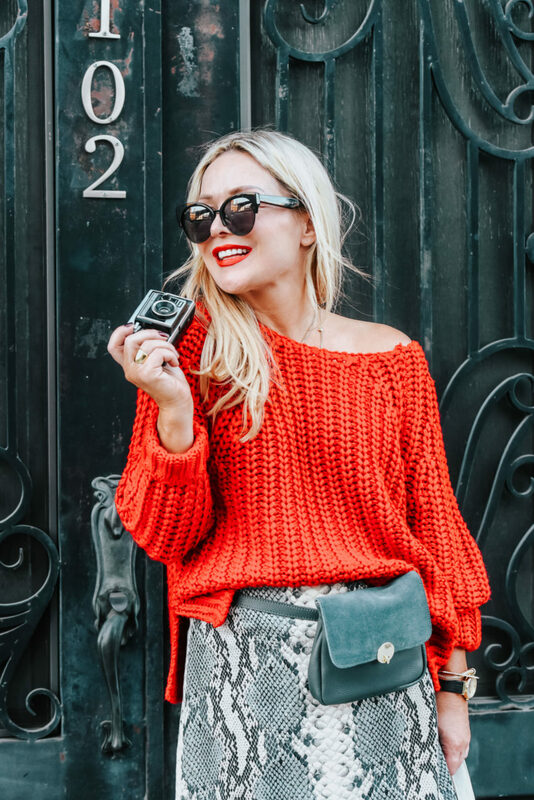 I wish I brought along this red chunky knit sweater with me because it was unexpectedly very, very cold! I ended up layering basically everything I packed to keep warm but it was worth every fashion faux pas to see this natural wonder. The beauty of it is truly overwhelming, I was literally weeping at the sight of it! Be sure to put it on your list of things to do, its a must! 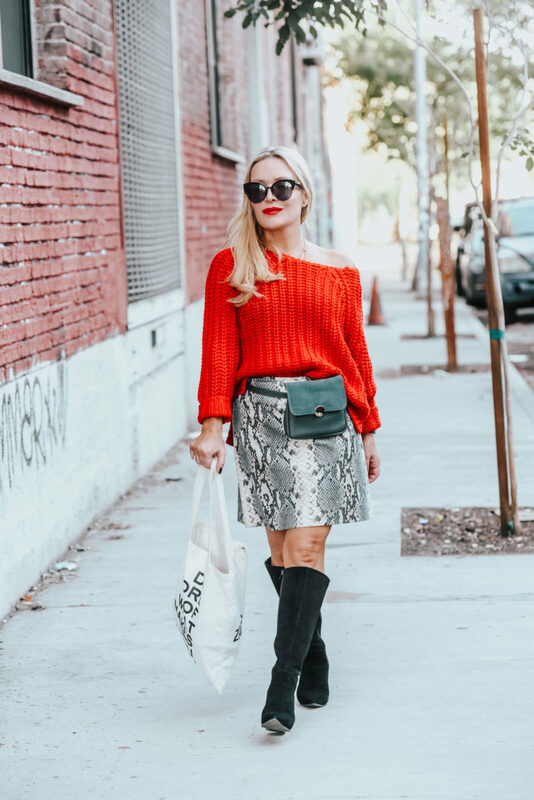 Snake skin prints are becoming almost as popular this season as leopard, I had this ultra suede skirt custom made back when I was in college and its still holding strong. 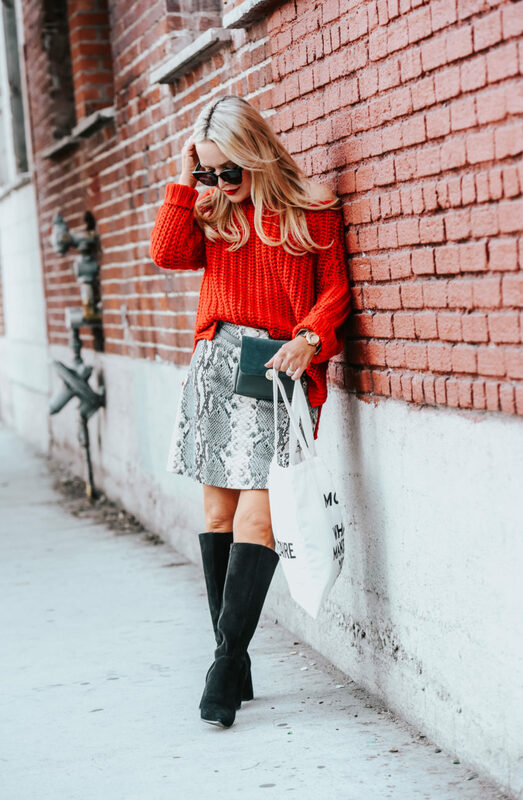 Pairing this red knit with the snake skin print seemed like the perfect match and the black knee high boots tie it all together. Perfect outfit, love your sweater, looks so cozy !!! So chic and sassy! 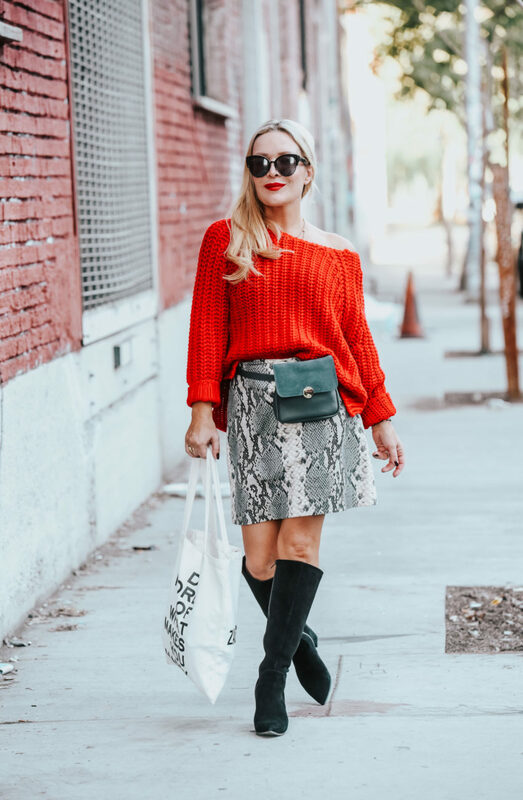 Love the combo of the cozy red sweater and fab snakeskin skirt dear! 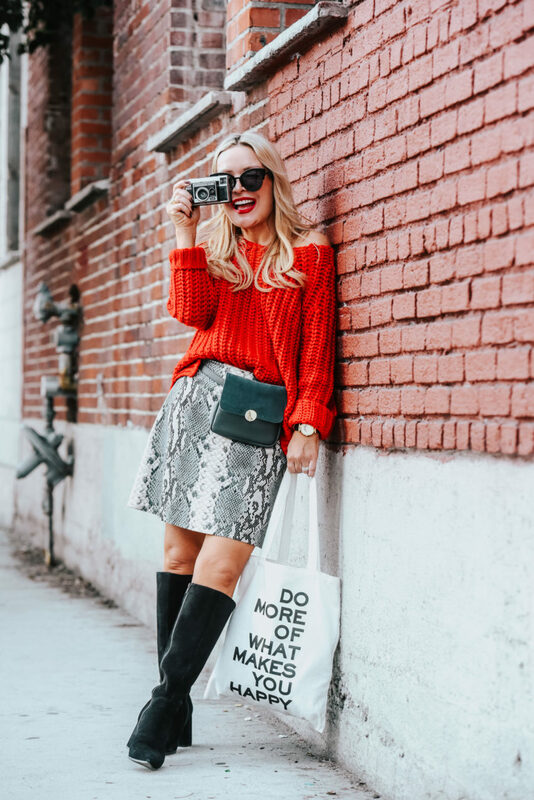 love love love that skirt (and the one you tagged is pretty fab too!) 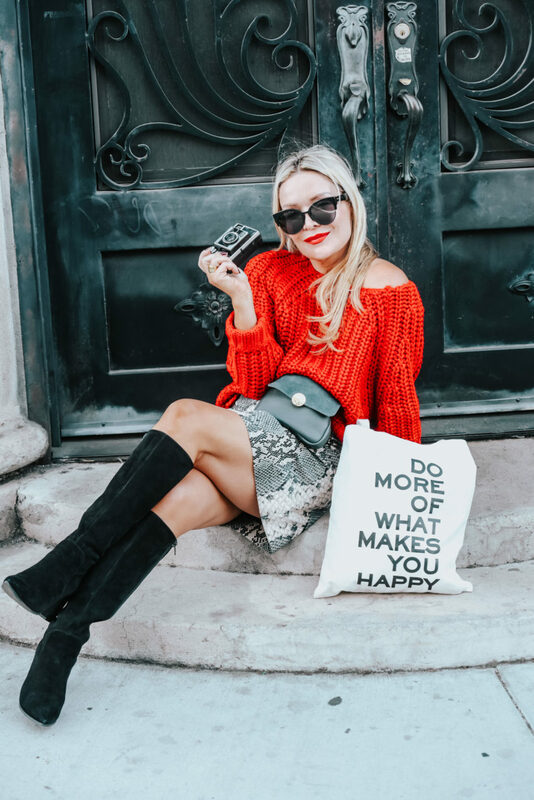 and it really goes well with your red sweater and black boots! 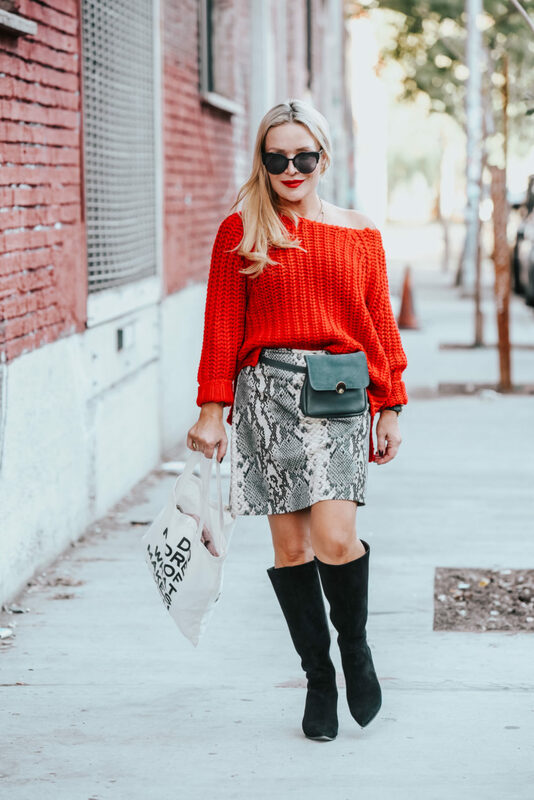 Red sweater and snakeskin skirt makes such a fab combo! And you’re absolutely rocking it with the boots dear. Chic and sassy look!